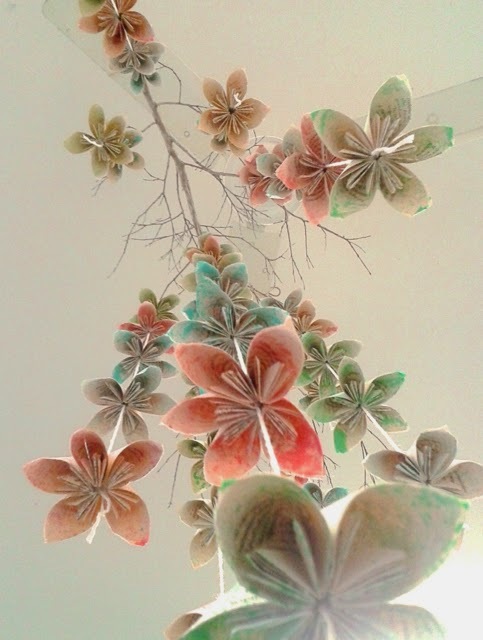 One of my online discoveries years ago was directions on how to make Kusudama paper flowers. 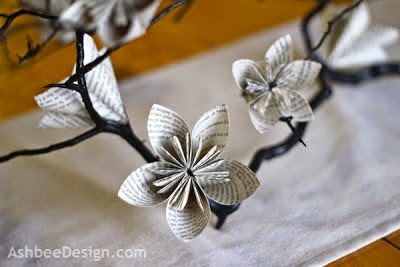 I made one style from old book pages and used them in this centerpiece. And I put up a blog post about it back in 2012 here. Recently, I received a very nice email from a student in Australia, Mackenzie Page. She was working on a art project inspired by the work of others for a school assignment. She chose my paper flowers as her inspiration. Part of the assignment required communication with the original artist so she emailed me. I answered her questions and asked that she send along a photo of her finished work. I received I nice email last week with several photos. She took my idea of the flowers and a branch but from it, created her own variation. 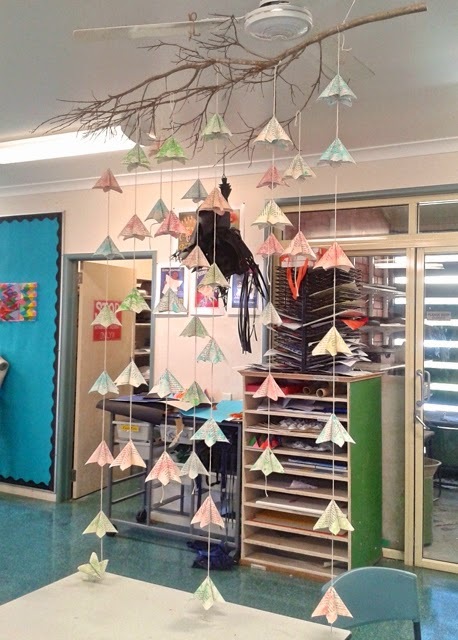 It is a mobile with the flowers hanging in descending strings. The view up is an incredible one. Makes for a stunning crib mobile. Nice job Mackenzie!